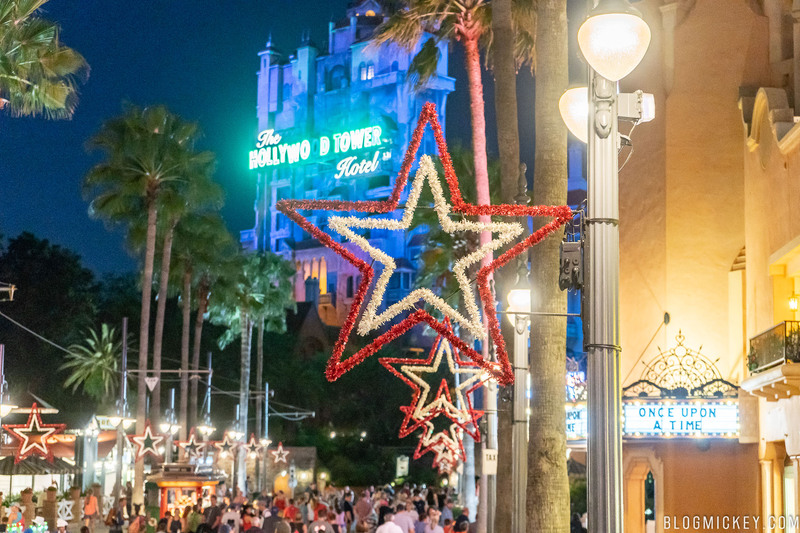 Just over a month after we first spotted Christmas lights on Cinderella Castle, Hollywood Studios has joined in on the festivities. 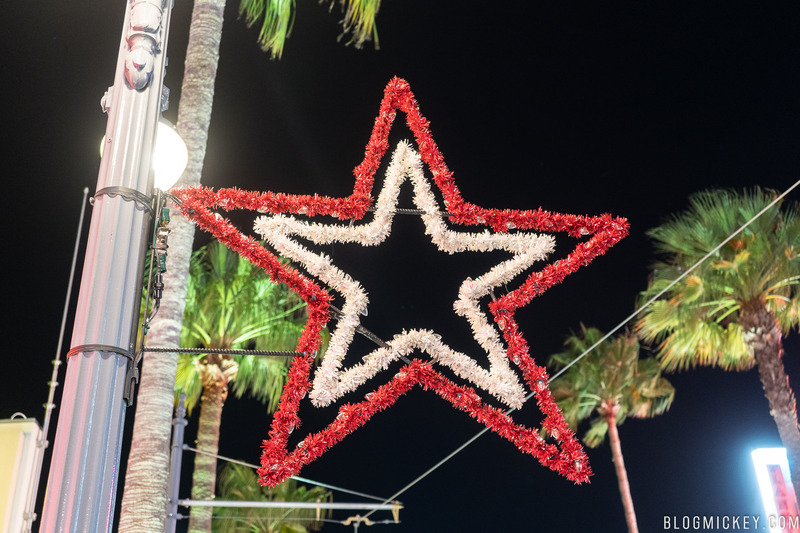 In a rare nighttime photo update, we made it out to Hollywood Studios last night to check out the decorations that were installed on Sunset Blvd for this year’s Sunset Seasons Greetings. 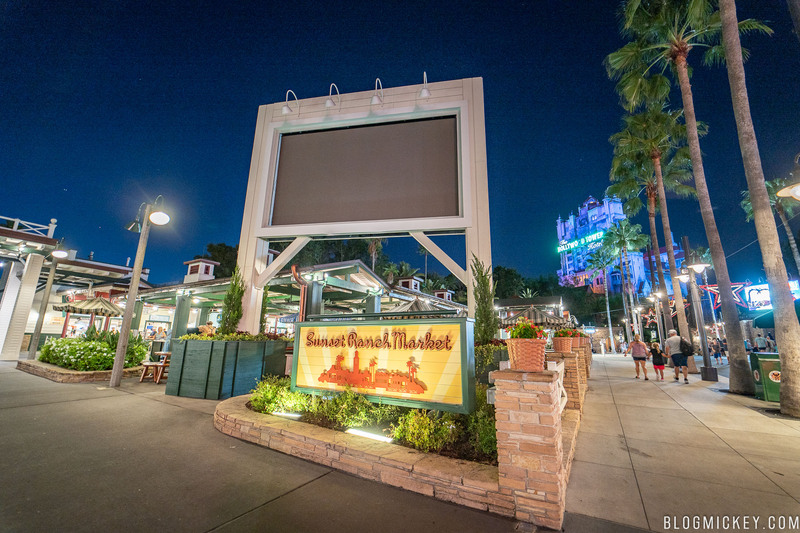 All along Sunset Blvd, the light-up stars have been installed. 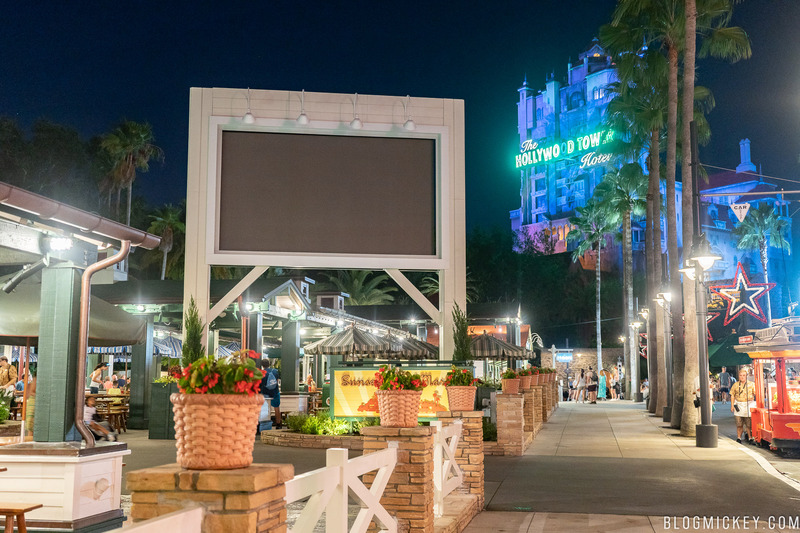 The large screen that displays some of the animation used for Sunset Seasons Greetings is in a slightly modified location this year, which should make it easier to see for guests along Sunset Blvd. Sunset Seasons Greetings and the Flurry of Fun Christmastime events start November 8, 2018 and will run through January 6, 2019. 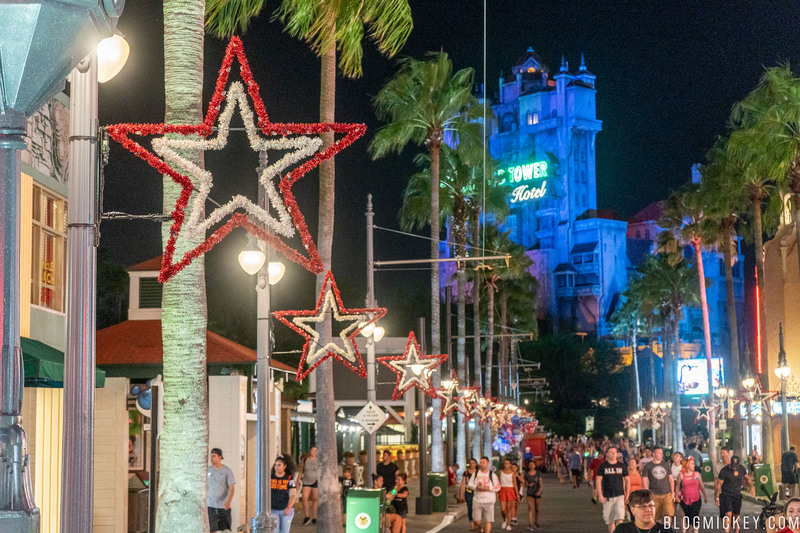 New laser effects are expected this year along with more park-wide offerings such as Toy Story Land enhancements. 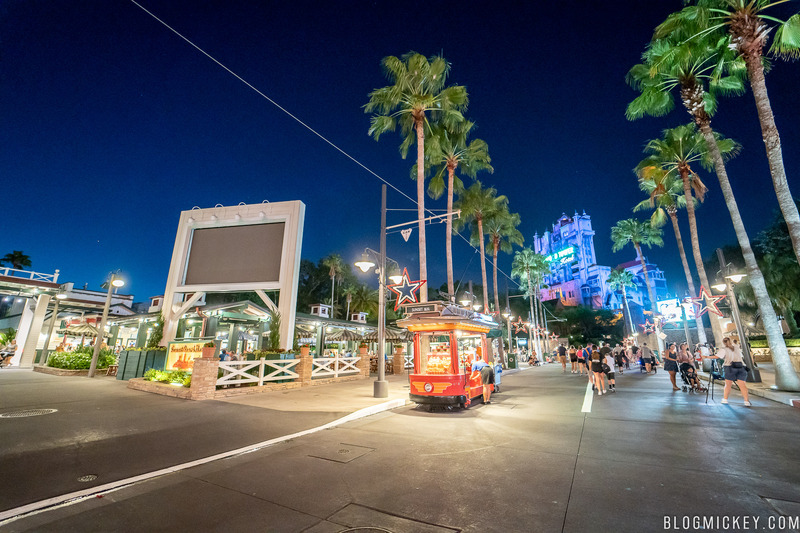 Here’s a look back at last years Sunset Seasons Greetings Tower of Terror projection show.